Keep your essentials close at hand. 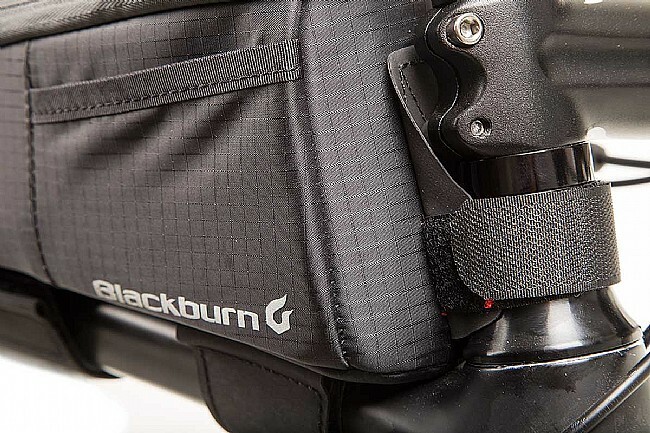 The Blackburn Outpost Top Tube Bag puts 1 liter of storage at an easy to access location on the top tube. Heavy-duty hook-and-loop closures stay secure over rough terrain, and rugged 70D nylon and 4 mm ripstop construction is durable and weather resistant. 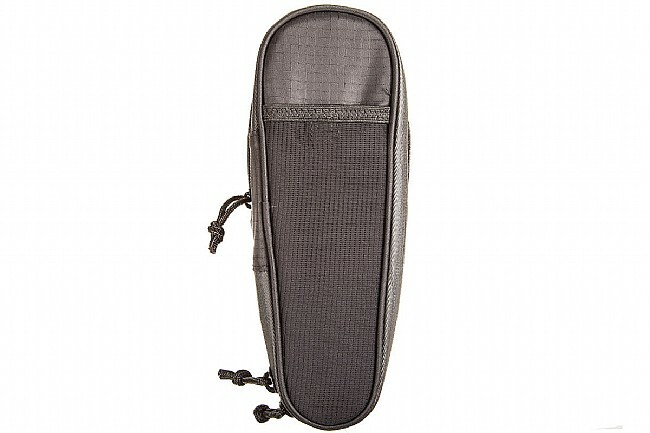 There's plenty of options for storage and organization with an adjustable divider and key lanyard in the main compartment, and outside, an elastic mesh pocket is ideal for quick access to a phone, while ID and cash pockets at either side provide secure and convenient stash points. Claimed weight is 185 g.
I did not like this bag. It is huge.......in fact it was too big for my liking. It just seemed to be in the way when stopped and standing over the top five. I like this bag. I use for the rides when I don't need my rack trunk. 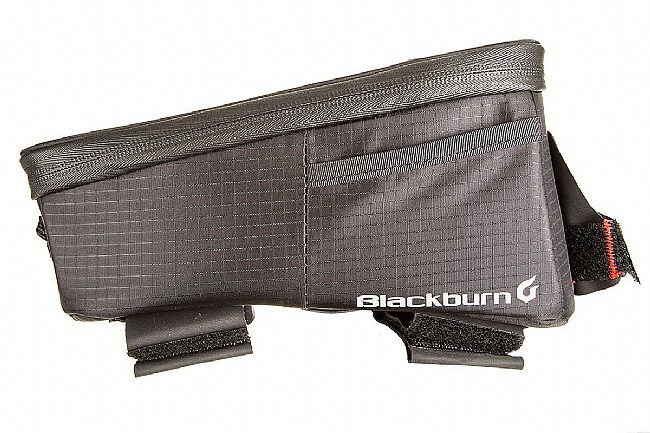 It holds well on my bike and doesn't slip around on the top tube. The only problem is the size is a little small but I worked around that problem. Great Bag! Holds everything needed up front! 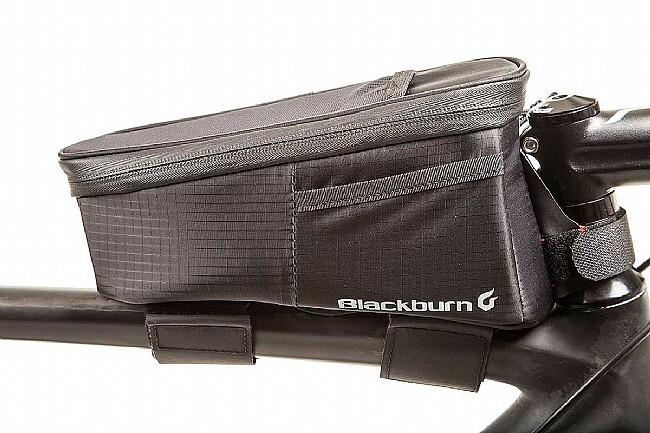 Top tube bag for my gravel bike. I like this better than the relevate - stays in place better. Plenty roomy - great to have extra space for food, phone etc. Excellent place to put a bag,standsstays there.Secure straps a bit long but ok.Waterproof,great sealed zippers. 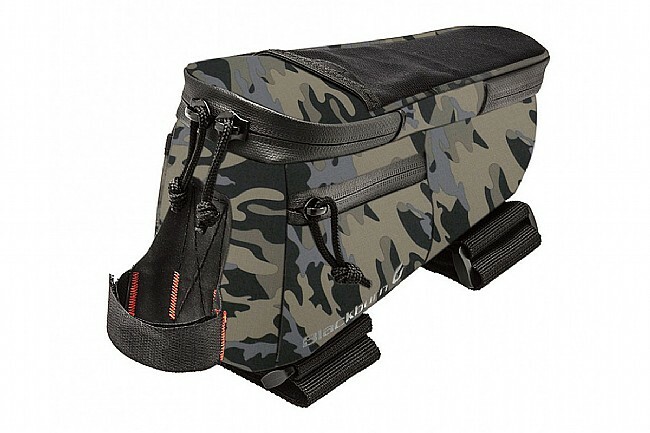 Worth the Money,Waterproof zippersSeams.Keeps things handy in place.Very versative storage unit that fits any frame tube large angleround.Off the front steer head,out of the way,still see the ground in front. 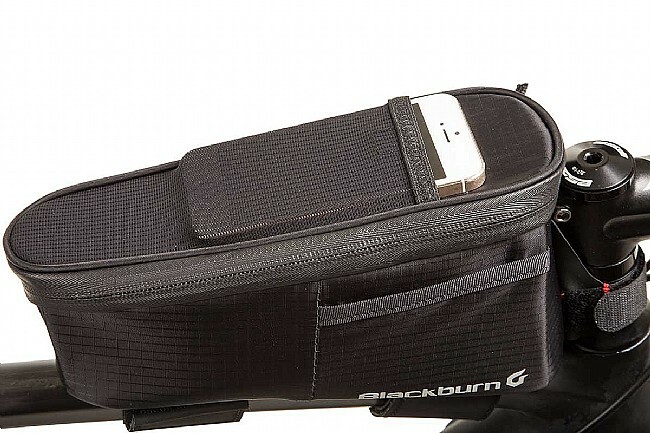 Great bag on top tube to neck that stays put ! H2o Proof,Easy onoff, Well made. 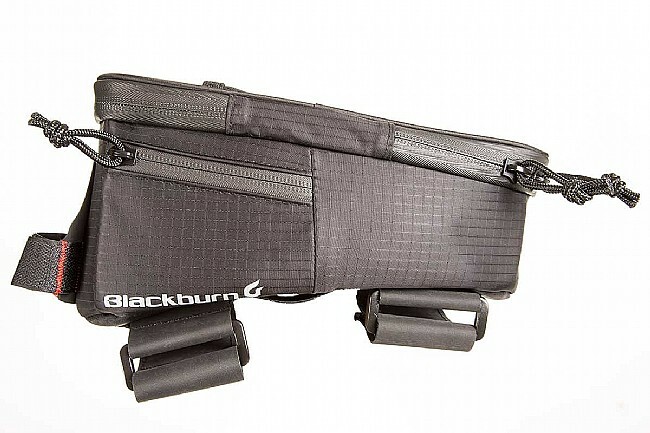 Had a lot of seat bags,This ones in fronthandy.Strapped w rubberized wide Velcro straps that stick on frames.Rubberized zipper that doesn't leak.Phone holder slip-in on top.Holds a lot,has separators inside.Carrys a camera,nutrition bars,Air Co2s.Well made probably lasts forever.Thickwell-made.Well Worth the Money..